Small, discrete and stylish, the LitePod sad light box is perfect for use in the office or around the home. It is ideal for using next to your computer or below the screen. 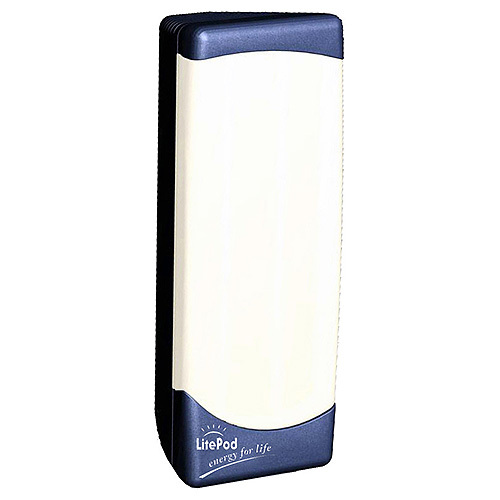 The LitePod is one of the smallest 10,000 lux SAD light boxes on the market! It has been scientifically proven that low levels of light make many people feel fed-up, tired and less energetic, which helps to explain why lots of people find winters so depressing. So, if you spend part of the year feeling less than your usual bright and active self, then a SAD light box like the LitePod is for you. Despite its size, the Litepod 10,000 lux light box can deliver a full treatment in 45 minutes to 1 hour. Ideal for using next to your computer or below the screen- stands horizontally or vertically. Smooth opal diffuser for even luminosity. 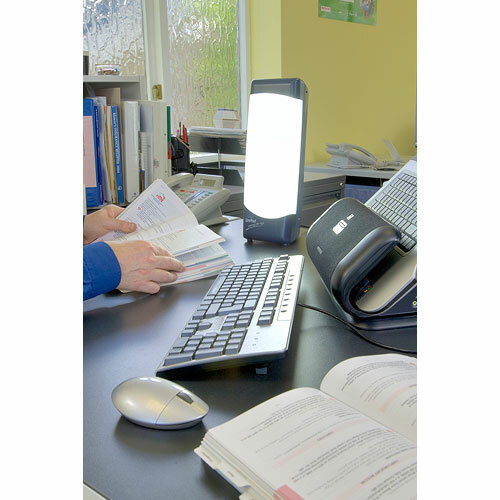 Great working light or desk lamp whilst treating SAD. Dimensions 38 x 12.5 x 12.5cm (15 x 5 x 5”). Product Weight 1.5kg (3 ½ lbs). Replacement tubes available to order- contact us for details. 3 year warranty on Lightbox components, 1 year on tubes. 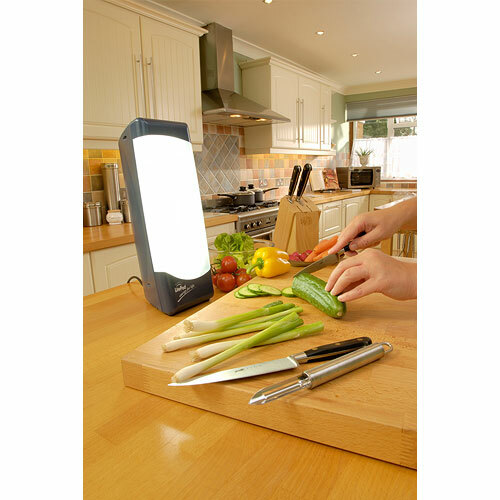 Below are reviews of Sad Lightbox Co. LitePod Blue - Compact SAD Light Box by bodykind customers. If you have tried this product we'd love to hear what you think so please leave a review. This is my second LitePod. My previous one lasted 8 years, before giving up the ghost. Perfect for using at home and work, as is easily transportable, especially if you have the bag that goes with this. (An optional extra). Helps me combat SAD symptoms during the winter months. Excellent light. I use it in the mornings and feel better and more alert throughout the days I do. It is a lot bigger than I imagined but lightweight so easy to move about. Very pleased with the product and would recommend to any friends who I thought would benefit over the darker months. 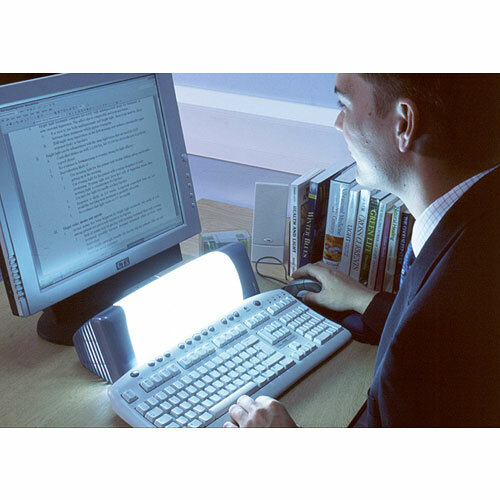 Excellent product, second purchase, good light output making it effective in mitigating SAD. Only quibble is there is no moulded carry handle meaning two hands needed to reposition but so effective merits 5 stars anyway. Just purchased Litepod Compact for hubby , delighted to report that there is an improvement in his mood even after only a short time YIPPEE. Small, discrete and stylish, the LitePod sad light box is perfect for use in the office or around the home. The LitePod is one of the smallest 10,000 lux SAD light boxes on the market.